The better to tug on my dear! This Adult Santa Full-Size Wig and Beard set is all you need make a Christmas miracle. Billowy white and puffy soft, this snowy-white, full-size Santa wig makes a perfect cover for deciding who's been naughty and nice! Rosy cheeks not included with this iconic 13" swirly beard! Santa cap not included. Imported. 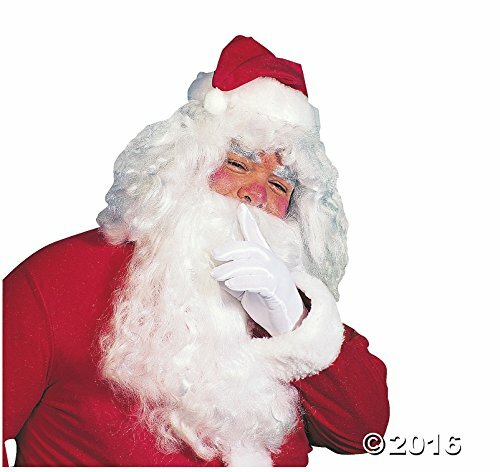 Synthetic Fiber Full-Size Santa Wig.